The motivation: "mobile experiences fill gaps while we wait. no one wants to wait while they wait"
Perform actions optimistically. Make the user feel productive. Likes, comments, and follows are registered on screen while the like operation is being sent in the background. Adaptively preload content. Load content before it's needed. Don't images according to time, it will take too long, instead re-prioritize based on interest. Show what the social network things is the most popular. Listen to what your user's flicks and taps are telling you. Move bits when no-one is watching. Picture uploading starts before you share them, most apps wait until after the share screen. The rule is send data as soon as it's ready, then match it with user actions later. This doubles the number of requests, but the perceived performance is improved, even if a cancel is sent out later. Data is deleted on a cancel.
" Picture uploading starts before you share them, most apps wait until after the share screen. The rule is send data as soon as it's ready, then match it with user actions later"
so instagram is using my cell phone bandwidth to upload photos I may not choose to share? This may be nice for Instapgram's perceived speed, but as a user I am not amused. Does anyone know what servers they use? and for the server side code, is it python or php? 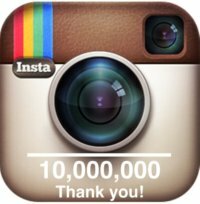 @Amie You can read the following article that talks about what powers Instagram. It makes an interesting read for technically inclined.